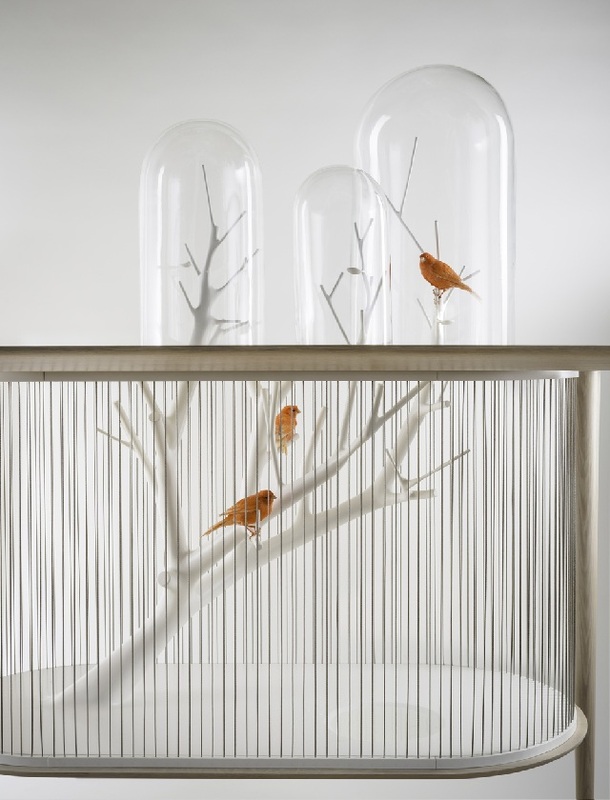 French designer Gregory de Lafores (GrégoireDe Lafforest) loves songbirds. 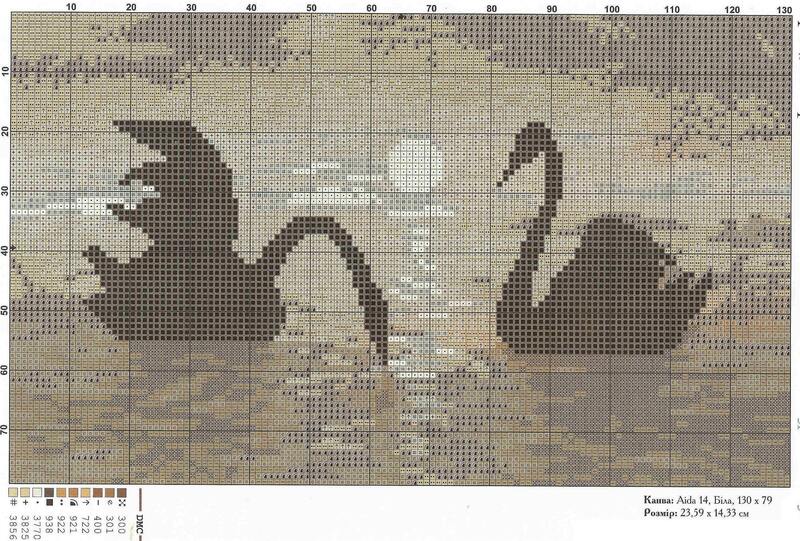 Or does not like - here from which side to consider the issue of the ethics of the content of birds in the cage. 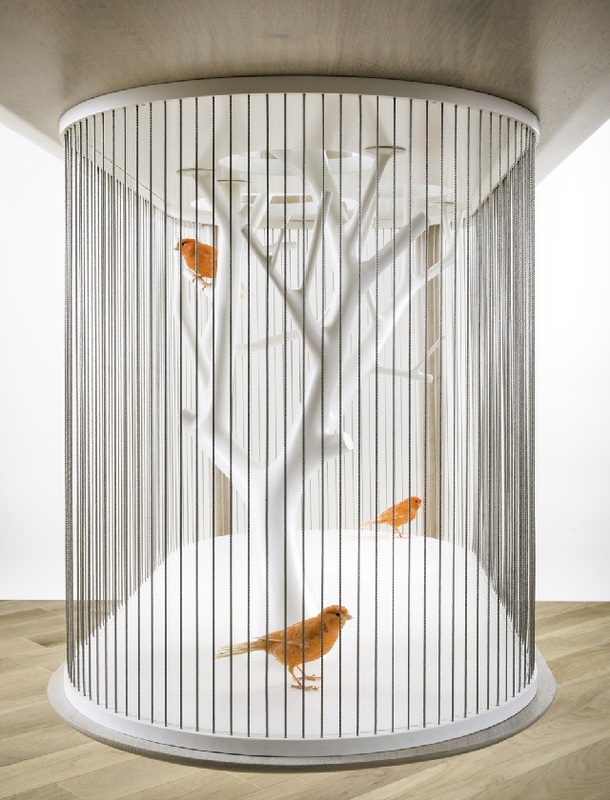 In any case, the master had the idea to build a decorative cage in an ordinary wooden table, which, however, immediately ceases to be ordinary. According to the author, this unusual piece of furnitureIt was designed to break stereotypes, to give the conservative table a bit of theatricality and curiosity. 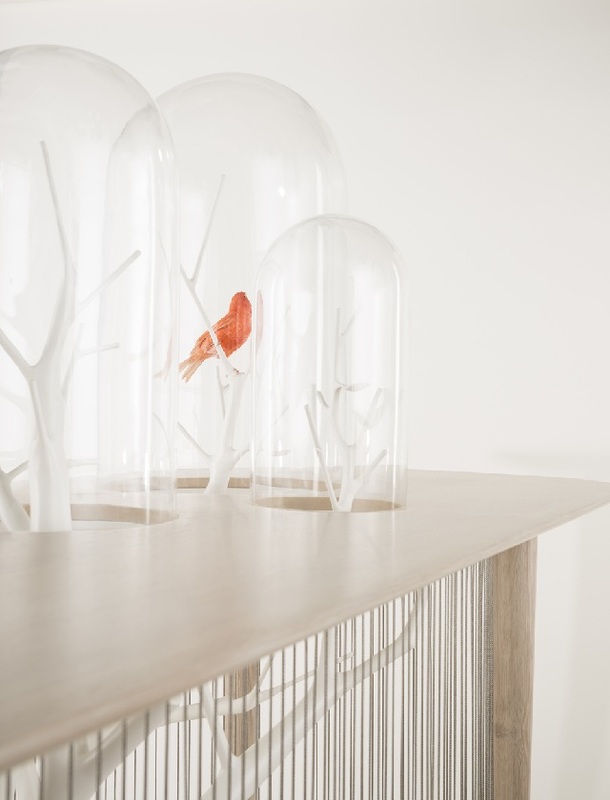 The decorative cage is located under the table, which from the functional point of view makes the use of the table as a dining difficult, since there will be nowhere to put your feet. And I doubt that the rustle of the wings under the table and the specific smell will contribute to a good appetite. But as a coffee table it could have been used. 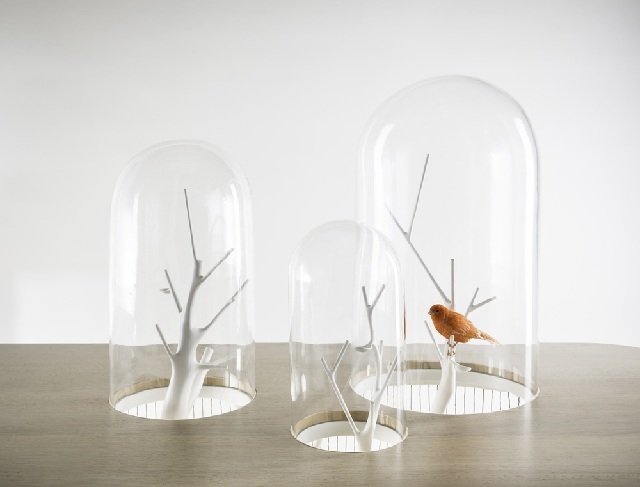 Small glass domes rise above the table top, revealing a twig of a tree and a bird sitting on it. 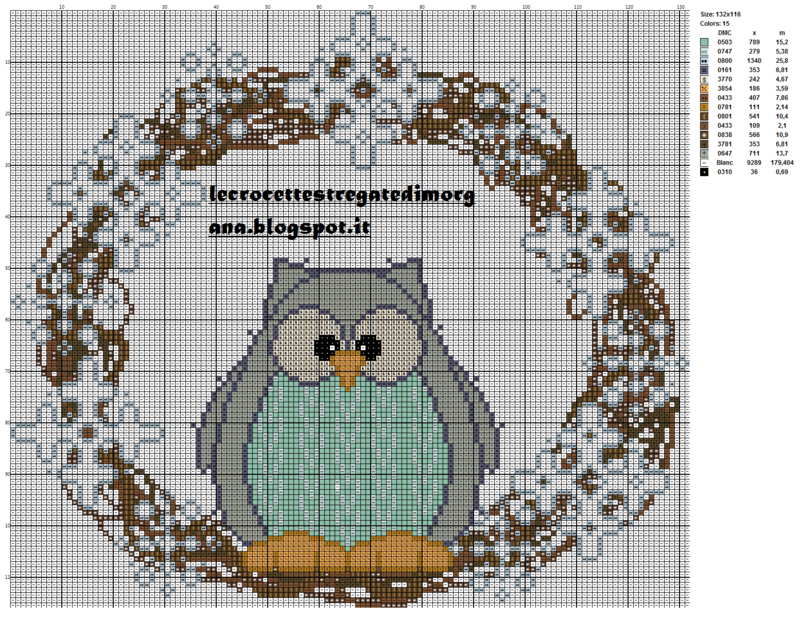 The design of the table - the decorative cell can be slightly modified, for example, instead of living birds placed in a cage of artificial ones. Then you can remove part of the cell under the table - so it will be much more comfortable to sit behind it. In removable domes, you can place lamps or small appliances, for example, a small coffee maker. The branded brand store Smeg offers a wide range of built-in household appliances and electrical appliances for the kitchen - http://smeg-catalog.com.ua/. 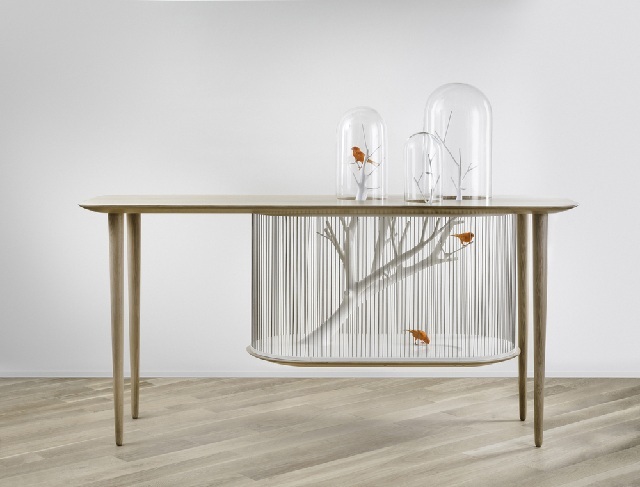 At this stage, the decorative cage - the table exists in a single specimen and is presented in Gallery Gosserez in Paris.